The Stellenbosch Wine Festival is running from the 25th of January until the 3rd of February and I have two give aways for my local readers. For more information on the Festival please see the facebook page, or the website if you want to purchase tickets. However, I am sure you would prefer to be a winner! I have two prizes on offer. The first is a case of 6 wines from various wine estates in the Stellenbosch region. The second is a set of 2 tickets to the event. The Stellenbosch Wine Festival, the flagship event of South Africa’s iconic wine region, stomps its way into a new era this January with an expanded ten-day program designed to showcase in a bigger, better and bolder fashion the delightfully diverse town of Stellenbosch from 25 January until 3 February 2013. The Stellenbosch American Express® Wine Routes moved this annual highlight event from its previous mid-winter schedule to the new dates in order to capitalise on the unique assets and attractions this historic oak-lined town and its more than 150 wineries has to offer during the height of summer. “We realised that it makes sense to showcase our world-class wines during a period when everything that Stellenbosch offers – its natural beauty, unique cultural heritage, excellent academic institutions and vibrant agricultural industries – is at its best and brightest. Perfect summer weather, the buzz of a new University year and the bustling start of the harvest season will all add new dimensions to the Stellenbosch Wine Festival experience. Our member farms are excited, the whole town is mobilised and we are sure that wine lovers and lifestyle tourists from all over South Africa and the world are going to be thrilled with what Stellenbosch is bringing to the table this summer,” says Annareth Bolton, CEO of the Stellenbosch Wine Routes. 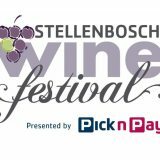 The new-look Stellenbosch Wine Festival, presented by Pick ‘n Pay, delivers a full flight of wine experiences for both casual fans and connoisseurs, including a ten-day promotion at many of the area’s award-winning restaurants, special cultivar evenings and wine farm tours. Throughout the week, the public will be able to tailor-make their own festival experience by dining in town and estate restaurants offering special food and wine pairing menus as part of the festival’s “Wine & Dine” sensation or by visiting a myriad of farms offering unique tours and tasting programmes. A festival highlight will be the Blessing of the Harvest and the Harvest Parade on Saturday, 26 January, as celebrants from Stellenbosch member farms march through the streets on a flotilla of tractors. For those more adventurous festivalgoers various sporting events will give enthusiasts a colourful taste of the Stellenbosch lifestyle. It all culminates in a three-day Wine Expo, which will be located in the heart of the vibrant town, and feature interactive stands and tasting programmes from over 130 wine and gourmet food producers. The Wine Expo is set to take place from 1 to 3 February on Die Braak and will take full advantage of the beautiful natural surroundings with rustic tables, green décor and free-flowing Bedouin tents. A central stage will play host to Sunset Sounds Concerts to keep festivalgoers entertained as they enjoy the fabulous vintages on offer. A full Festival Guide will be published by the organisers in early January and details of the entire programme will be made available on the Festival website over the coming months. Follow us on twitter @StellWineFest with the hash tag #StellWineFest and one Facebook www.facebook.com/StellenboschWineFestival to find out more about the participating wine farms, restaurants and festival activities as well as promotions and giveaways. Disclosure: I was given 6 bottles of wine to enjoy as well as tickets to the event. This is in line with my blogging policy. Have fun at the festival for me! Drink a glass for me at the festival! I am huge wine lover and feel so blessed to be in Boland. We have so many amazing wines on offer and it is such a beautiful area. I have never been to wine festival before (a crime I admit) but would love to this year! I live,speak and breath Stellenbosch! Since starting studying here as a student and now a working professional, I make it part of my life to visit all the wine farms and attend the various wine festivals. The Stellenbosch wine festival has never disappointed me and I always walked away with complete satisfaction. The wines are beautifully presented and as a foodie, I always make an effort to try out new local produce. I would love to win wine, to drink and cook with as well as tickets so that I can taste all the new wines that the cellars are offering this year. As a true Stellenboscher I know I will appreciate and use the prizes to their advantage! I would love to win both the 6 bottles of wine as well as the tickets to the event! I also would love to go the Stellenbosch wine festival as it will be a first for me. I have also never visited any wine farms on the Stellenbosch wine route. I think going to the event will be a great introduction! Trying to get to my parents’ level of wine expertise – since I have not yet bagged an heir to a vineyard I thought I’d carry on searching for one at the festivals! And since a nice bottle of wine is the best thank-you present, those would go straight to my family. thanks for the entry Hanna, sadly you did’t win, but I hope you go 🙂 and that you bag an heir! Well done, you won the wine! I think I should win because I drink a glass of wine every day and enjoy it because it eases the days stress away.